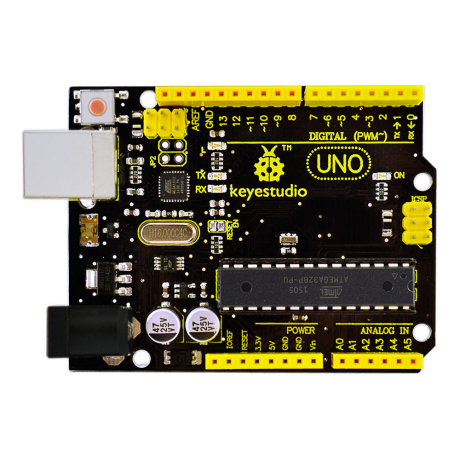 UNO R3 Breadboard kit is a learning kit based on UNO R3 development board. It's equipped with basic elements for ARDUINO experiments, including breadboard, Dupont wires, LEDs, resistors. 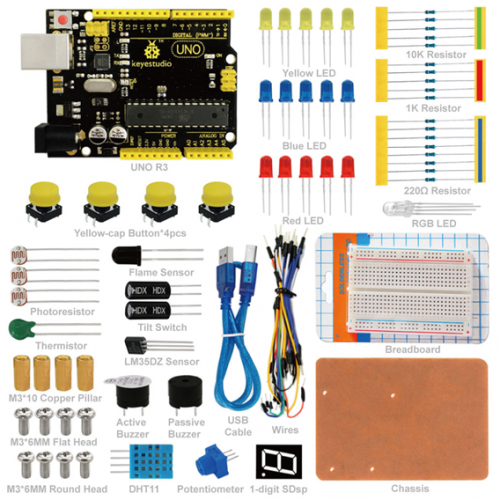 With this kit, you can perform simple LED experiments, such as LED blinking, LED chasing effect, etc. 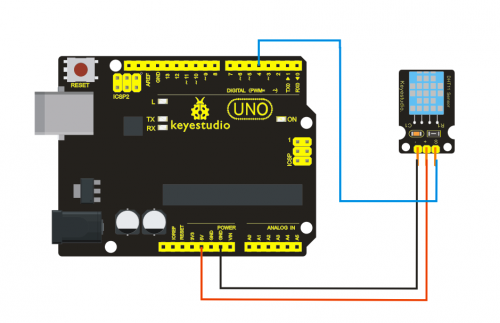 It is both affordable and portable for your Arduino learning. 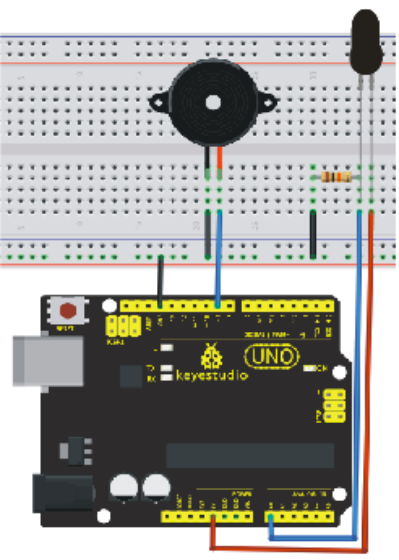 See http://arduino.cc for detailed specifications, overviews, schematics, etc. 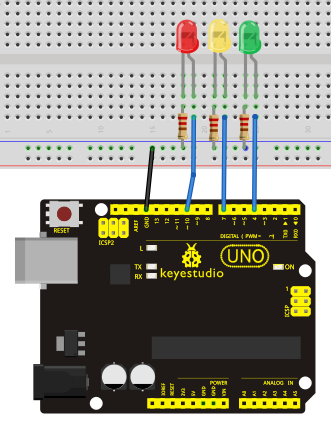 Core functions, code examples, and links to many of the device libraries can be found in the learning section; refer to the manufacturer's site if using other add-on shields or sensors. 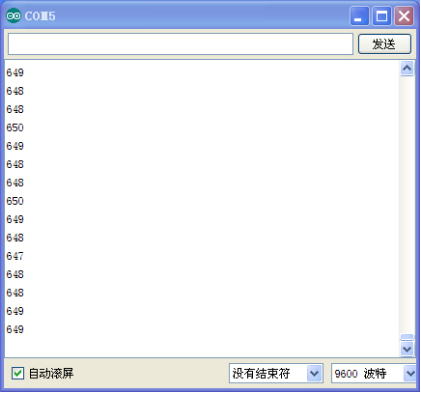 Examples for many basic components can be found under the Examples menu. As you install libraries for additional shields, new examples may be available. Follow the getting started guide found on the arduino.cc web site. Click Learning, and select Getting started. Click on the link for Windows, Mac OS X, or Linux for more specific directions. 1. Download the Arduino Environment (IDE) and install or unzip/extract the application directory. 2. 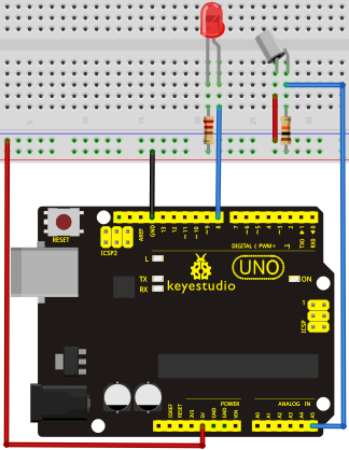 Connect the UNO board to one of your computer's USB port. 5. Open a sketch example such as "Blink"
6. Select your Board from the Tools menu. As for starters, we will begin with something simple. 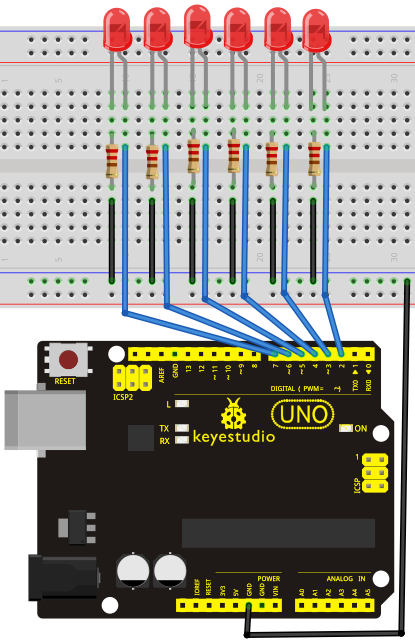 In this project, you only need an Arduino and a USB cable to start the "Hello World!" experiment. 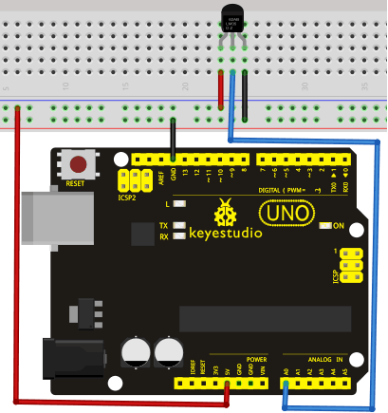 This is a communication test of your Arduino and PC, also a primer project for you to have your first try of the Arduino world! After installing driver for Arduino, let's open Arduino software and compile code that enables Arduino to print "Hello World!" under your instruction. 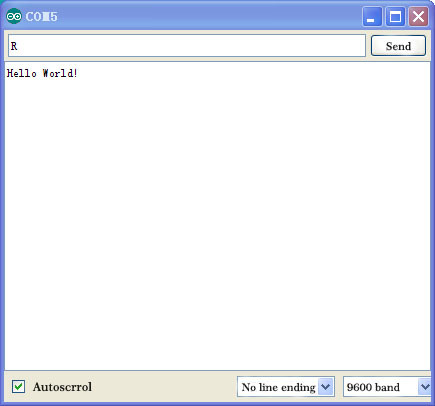 Of course, you can compile code for Arduino to continuously echo "Hello World!" without instruction. A simple If () statement will do the instruction trick. 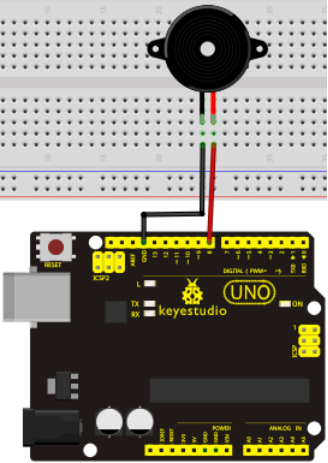 With the onboard LED connected to pin 13, we can instruct the LED to blink first when Arduino gets an instruction and then print "Hello World!”. After you choose the right port, the experiment should be easy for you! 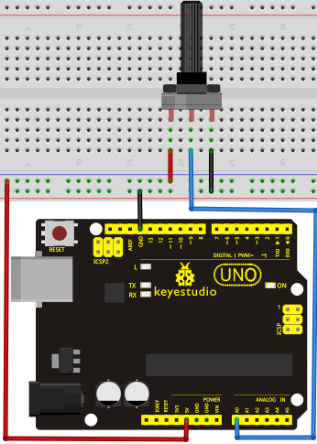 Introduction: Blinking LED experiment is quite simple. In the "Hello World!" program, we have come across LED. 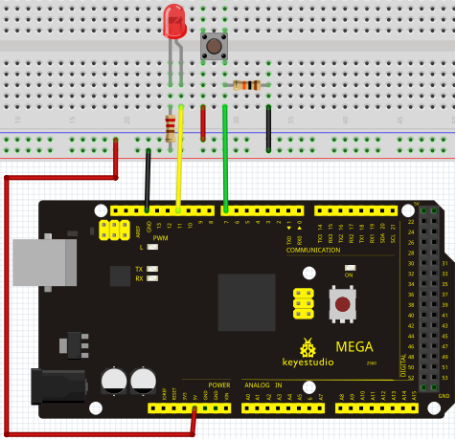 This time, we are going to connect an LED to one of the digital pins rather than using LED13, which is soldered to the board. Except an Arduino and an USB cable, we will need extra parts as below. We follow below diagram from the experimental schematic link. Here we use digital pin 10. We connect LED to a 220 ohm resistor to avoid high current damaging the LED. 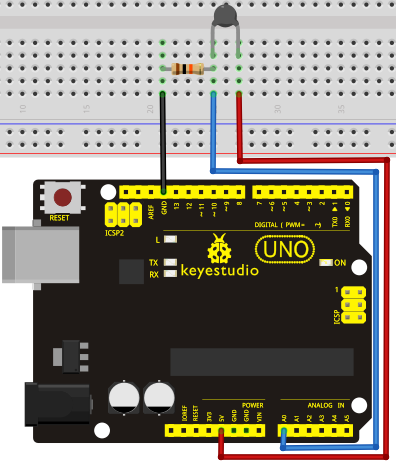 According to the above circuit, you can start compiling the program, turning the LED 1 second on and 1 second off. 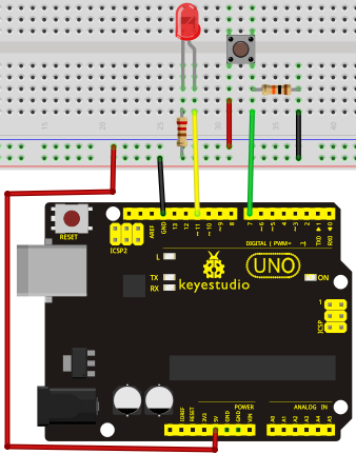 This program is simple and similar to one that comes with Arduino except it’s connected to digital pin 10. 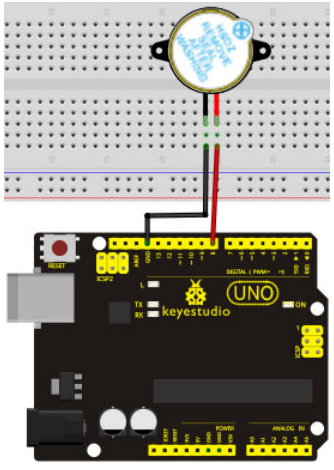 After downloading this program, in the experiment, you will see the LED connected to pin 10 turning on and off, with an interval approximately one second. The blinking LED experiment is now completed. 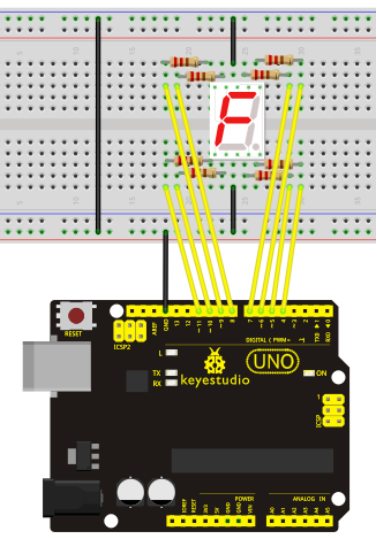 In the previous program, we have done the LED blinking experiment with one LED. Now, it’s time to up the stakes and do a bit more complicated experiment-traffic lights. Actually, these two experiments are similar. While in this traffic lights experiment, we use 3 LEDs with different color other than 1 LED. With the above parts ready, we can get started. We can refer to the LED blinking experiment for this one. Below is a sample schematic diagram. Pins we use are digital pin 10, 7 and 4. 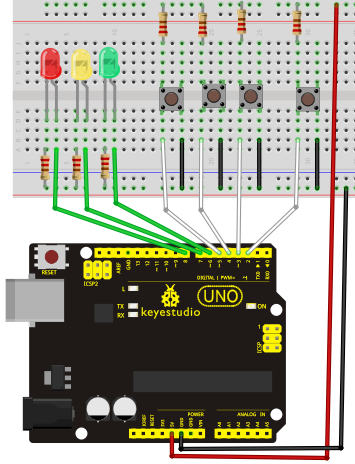 Since it is a simulation of traffic lights, the blinking time of each LED should be the same with those in traffic lights system. 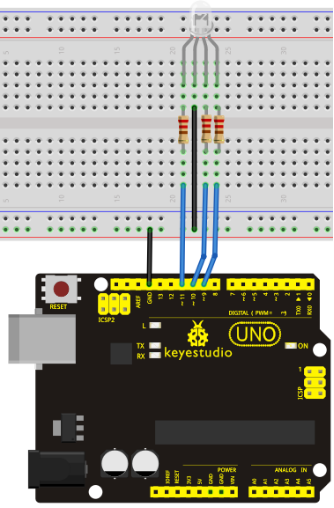 In this program, we use Arduino delay () function to control delay time, which is much simpler than C language. When the uploading process is completed, we can see traffic lights of our own design. 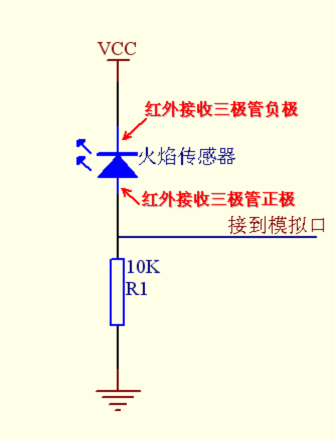 Note: this circuit design is very similar with the one in LED chase effect. The green light will be on for 5 seconds, and then off., followed by the yellow light blinking for 3 times, and then the red light on for 5 seconds, forming a cycle. Cycle then repeats. Experiment is now completed, thank you. We often see billboards composed of colorful LEDs. They are constantly changing to form various patterns. 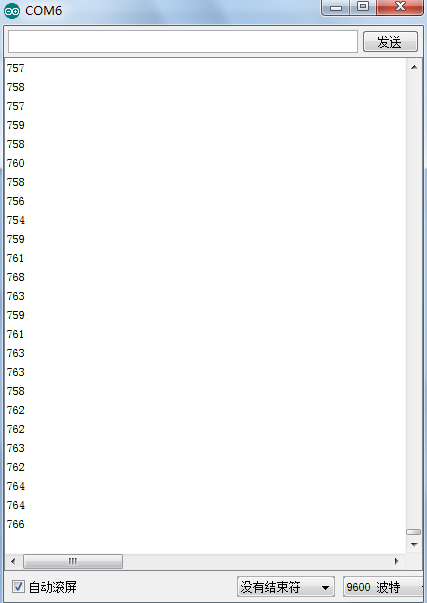 In this experiment, we compile a program to simulate chase effect. I/O port means interface for INPUT and OUTPUT. Up until now, we have only used its OUTPUT function. In this experiment, we will try to use the input function, which is to read the output value of device connecting to it. 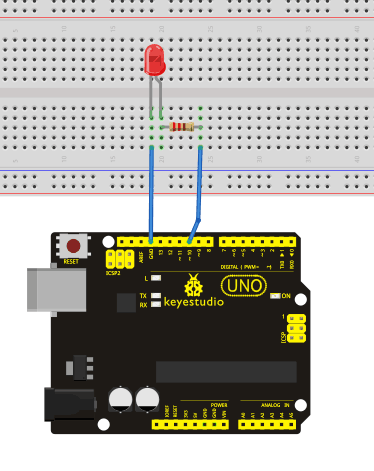 We use 1 button and 1 LED using both input and output to give you a better understanding of the I/O function. Button switches, familiar to most of us, are a switch value (digital value) component. When it's pressed, the circuit is in closed (conducting) state. 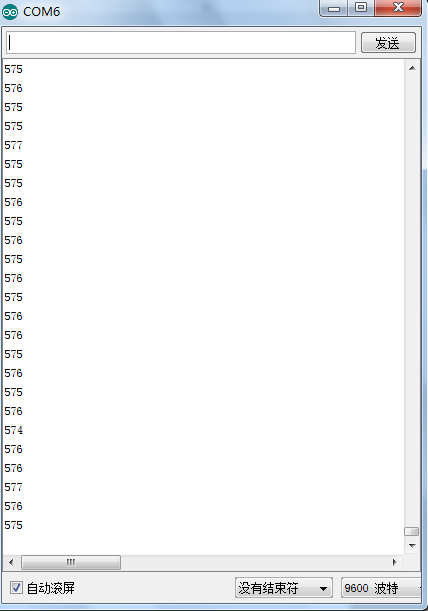 Now, let's begin the compiling. When the button is pressed, the LED will be on. After the previous study, the coding should be easy for you. In this program, we add a statement of judgment. Here, we use an if () statement. When the button is pressed, LED is on, otherwise, LED remains off. After the above process, the button controlled LED experiment is completed. The simple principle of this experiment is widely used in a variety of circuit and electric appliances. You can easily come across it in your every day life. One typical example is when you press a certain key of your phone, the backlight will be on. After completing all the previous experiments, we believe you will find this one easy. 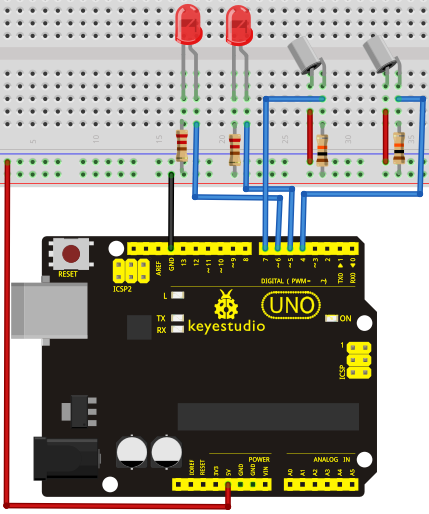 In this program, we have 3 buttons and a reset button controlling the corresponding 3 LEDs, using 7 digital I/O pins. Whichever button is pressed first, the corresponding LED will be on! Then press the REST button to reset. After the above process, we have built our own simple responder. 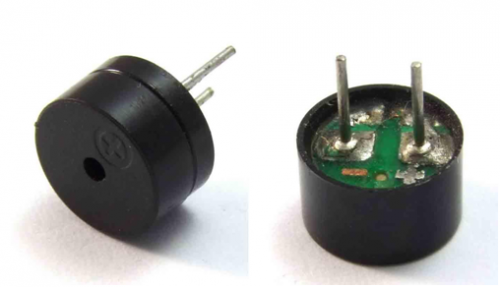 Active buzzer is widely used on computer, printer, alarm, electronic toy, telephone, timer etc as a sound making element. It has an inner vibration source. 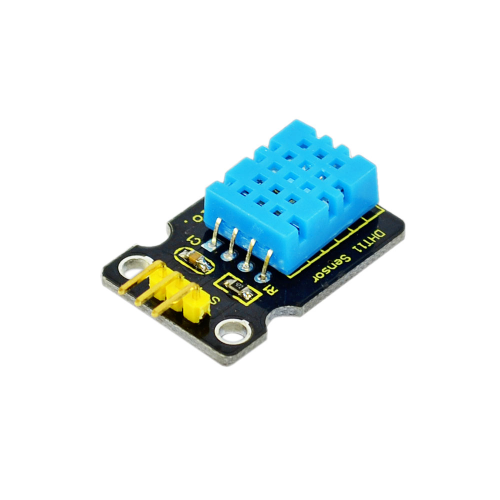 Simply connect it with 5V power supply, it can buzz continuously. When connecting the circuit, pay attention to the positive & the negative poles of the buzzer. In the photo, you can see there are red and black lines. When the circuit is finished, you can begin programming. Program is simple. You control the buzzer by outputting high/low level. In this experiment, we will convert the resistance value of the potentiometer to analog ones and display it on the screen. This is an application we need to master well for our future experiments. We use the analog interface 0. The analog interface we use here is interface 0. When you rotate the potentiometer knob, you can see the displayed value changes. The reading of analog value is a very common function since most sensors output analog value. After calculation, we can have the corresponding value we need. The experiment is now completed, thank you. 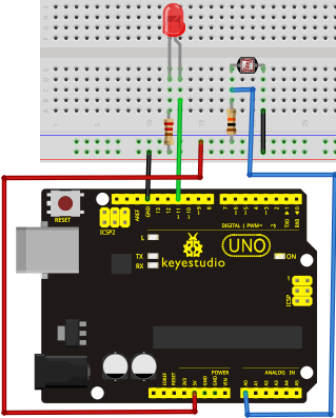 After completing all the previous experiments, we acquired some basic understanding and knowledge about Arduino application. We have learned digital input and output, analog input and PWM. Now, we can begin the learning of sensors applications. 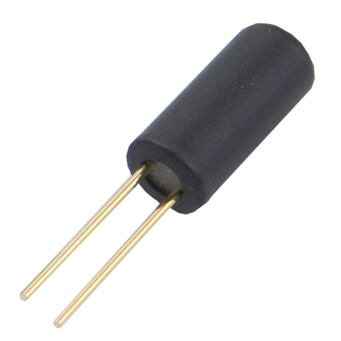 Photo resistor (Photovaristor) is a resistor whose resistance varies according to different incident light strength. It's made based on the photoelectric effect of semiconductor. If the incident light is intense, its resistance reduces; if the incident light is weak, the resistance increases. 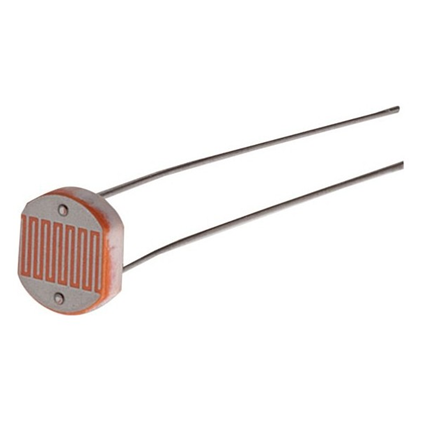 Photovaristor is commonly applied in the measurement of light, light control and photovoltaic conversion (convert the change of light into the change of electricity). 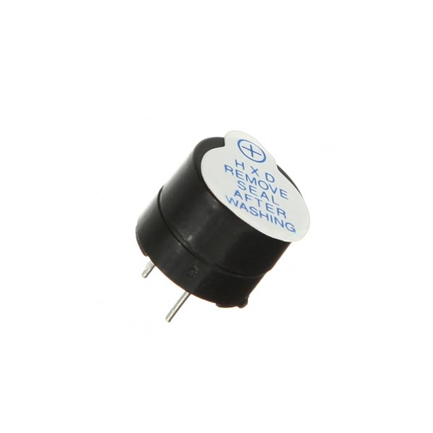 Photo resistor is also being widely applied to various light control circuit, such as light control and adjustment, optical switches etc. We will start with a relatively simple experiment regarding photovaristor application. 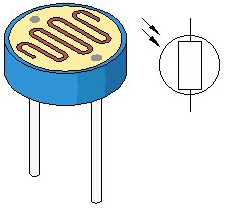 Photovaristor is an element that changes its resistance as light strenth changes. So we will need to read the analog values. 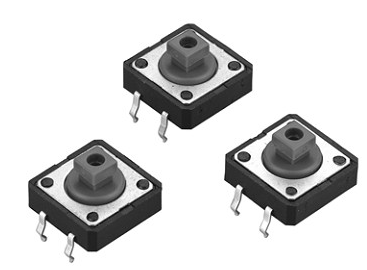 We can refer to the PWM experiment, replacing the potentiometer with photovaristor. When there is change in light strength, there will be corresponding change on the LED. After downloading the program, you can change the light strength around the photovaristor and see corresponding brightness change of the LED. 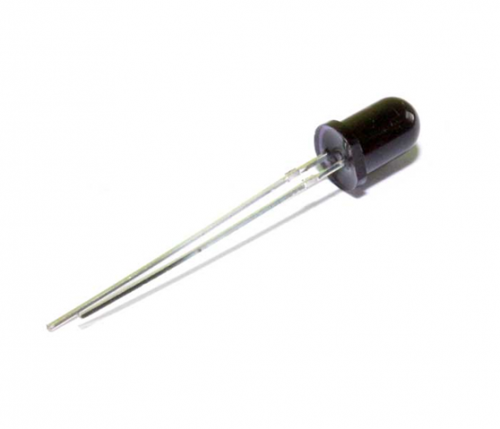 Photovaristors has various applications in our everyday life. You can make other interesting interactive projects base on this one. Introduction: Flame sensor (Infrared receiving triode) is specially used on robots to find the fire source. This sensor is of high sensitivity to flame. Below is a photo of it. Flame sensor is made based on the principle that infrared ray is highly sensitive to flame. It has a specially designed infrared receiving tube to detect fire, and then convert the flame brightness to fluctuating level signal. The signals are then input into the central processor and be dealt with accordingly. When it's approaching a fire, the voltage value the analog port reads differs. If you use a multimeter, you can know when there is no fire approaching, the voltage it reads is around 0.3V; when there is fire approaching, the voltage it reads is around 1.0V, tthe nearer the fire, the higher the voltage. So in the beginning of the program, you can initialize voltage value i (no fire value); Then, continuously read the analog voltage value j and obtain difference value k=j-i; compare k with 0.6V (123 in binary) to determine whether or not there is a fire approaching; if yes, the buzzer will buzz. This program can simulate an alarm when there is a fire. Everything is normal when there is no fire; when there is, the alarm will be set off immediately. 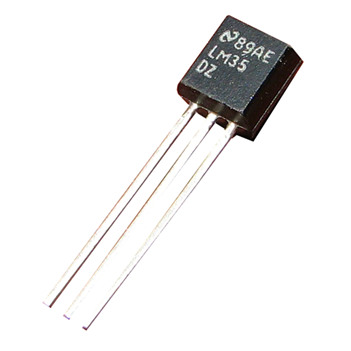 Thermistor is a temperature measuring component base on the principle that a conductor changes in resistance with a change in its body temperature. As a result, it requires the temperature coefficient and the resistivity of the conductor to be as large and stable as possible. It is best that the resistance is in linear relationship with temperature. And it should also have stable physical and chemical properties in a wide range. Currently, the most used thermal resistance materials are platinum, nickel and copper. Shown in pic 1 is data displayed by serial port monitor in room temperature. 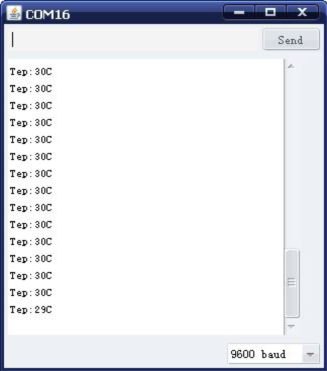 After the temperature is changed (thermistor wrapped and put into hot water), the data changes as shown in pic 2. 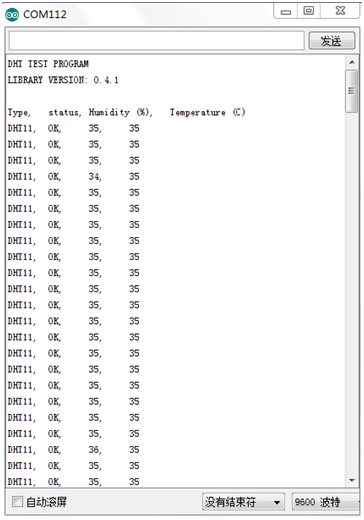 After downloading the program, you can open the monitoring window to see current temperature. 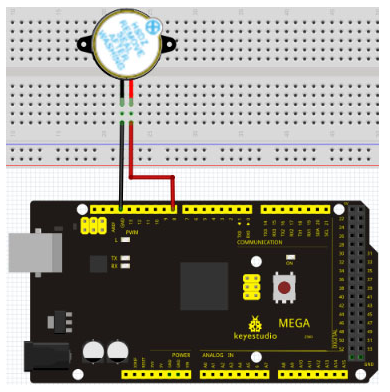 Today, we will use Arduino to make a temperature-indicated cup. First, let’s design the circuit. 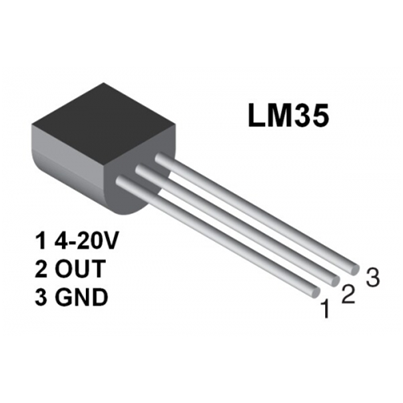 When the LM35 temperature sensor senses different temperature, different LED will be turned on representing the temperature. Corresponding LED will be turned on in accordance with corresponding temperature range. Tilt switch controlling the ON and OFF of LED. 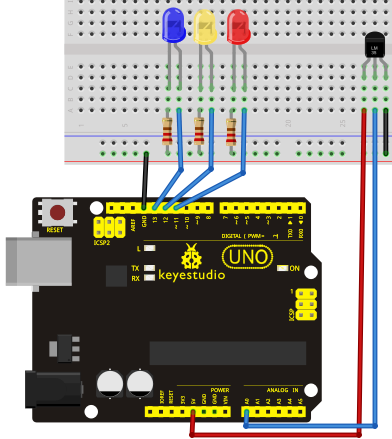 Connect the controller board, shield, breadboard and USB cable according to Arduino tutorial. Connect the LED to digital pin 8, ball switch to analog pin 5. Hold the breadboard with your hand. Tilt it to a certain extent, the LED will be on. If there is no tilt, the LED will be off. Magical light cup is a product developed by KEYES that can interact with ARDUINO. 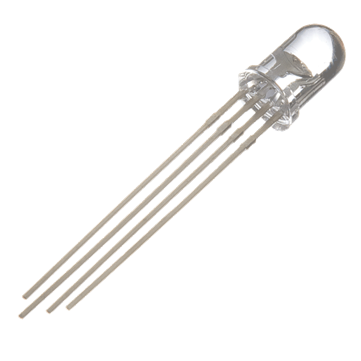 The principle is to use PWM to regulate light brightness of the two components. 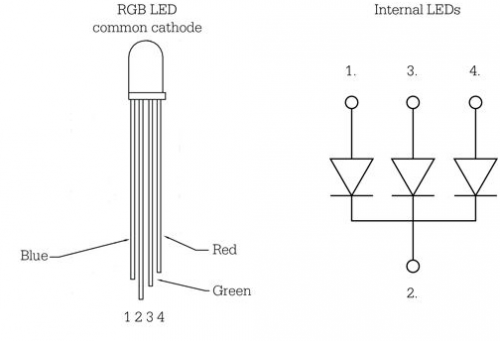 Mercury switch provides digital signal, triggering PWM to regulate light brightness. Through the designed program, We can see effect like two cups pouring light to each other. Tilt the circuit to one side, A light on, B light out; tilt to the other side, A light out, B light on. LED segment displays are common for displaying numerical information. It's widely applied on displays of electromagnetic oven, full automatic washing machine, water temperature display, electronic clock etc. It is necessary that we learn how it works. 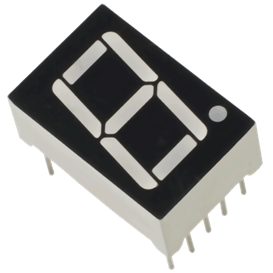 LED segment display is a semiconductor light-emitting device. 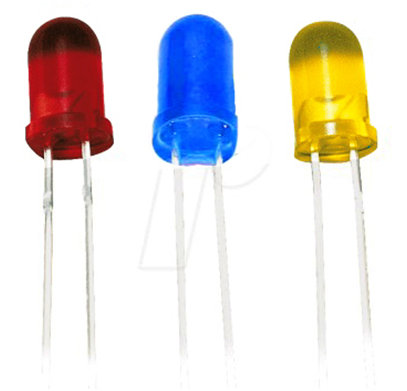 Its basic unit is a light-emitting diode (LED). 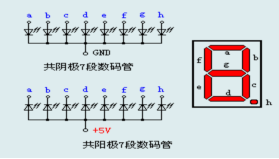 LED segment display can be divided into 7-segment display and 8-segment display according to the number of segments. 8-segment display has one more LED unit ( for decimal point display) than 7-segment one. In this experiment, we use a 8-segment display. According to the wiring method of LED units, LED segment displays can be divided into display with common anode and display with common cathode. Common anode display refers to the one that combine all the anodes of LED units into one common anode (COM). Each segment of the display consists of an LED. So when you use it, you also need use a current-limiting resistor. Otherwise, LED will be burnt out. In this experiment, we use a common cathode display. As we mentioned above, for common cathode display, connect the common cathode (COM) to GND. When the anode level of a certain segment is high, the segment is on; when the anode level of a certain segment is low, the segment is off.